Students at our school are involved in numerous activities to enrich their academic, social, and spiritual lives. Extra-curricular clubs and sports offer something for every child. Our school helps others in our own community, as well as reaching out to other places all over the world. Many times throughout the year we have special activities, such as Spirit Dress Up Days, to bring fun and a sense of community to our school. House teams are a means of providing school-wide teams that participate in activities and games throughout the year. These teams support each other in healthy competition in spirit and fun. Our school has a fun lunch program, which follows the guidelines provided by the Ministry of Education. As well, we have DPA (Daily Physical Activity), which ensures each student is participating in at least of 30 minutes of physical activity per day. The school practices regular fire drills and earthquake drills. Motivated by a Christ-centred vision of humanity and human history, our school promotes the formation of the whole person. Such formation embraces not only intellectual, but also physical, emotional, moral and spiritual dimensions of human growth. Intellect, emotions, creative ability and cultural heritage have a place in the life of the school. Human knowledge and skills are recognized as precious in themselves, but find their deepest meaning in God's plan for creation. Partners in Catholic Education - whether it be at home, in the school, or in your parish - must work together to provide an environment where faith and learning go hand in hand leading the young people to be the best they can be. 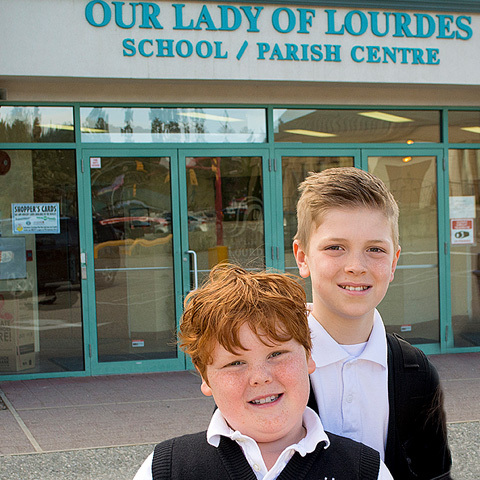 Our Lady of Lourdes School follows the BC Ministry of Education with highly dedicated and committed BC certified teachers. Daily prayer, school masses, sacramental preparation and religious education are an integral part of our school life. A fully equipped computer lab, library and gymnasium compliment the educational program. Numerous extra-curricular activities provide opportunities for our students to develop fully mind, body and soul. While fostering a relationship with Jesus Christ, our mission is to educate the whole child, in partnership with others, to ensure our students become global citizens. 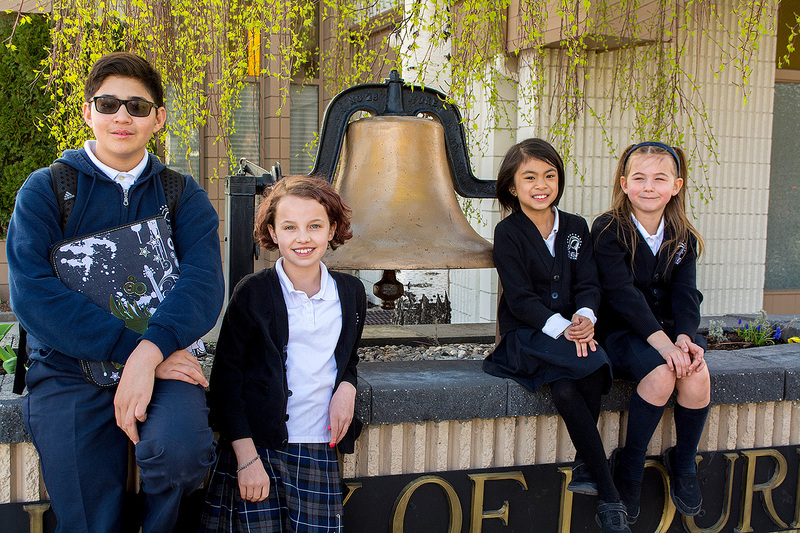 Our Lady of Lourdes School is an integral part of the community, nurturing Catholic values through faith-based education, ensuring successful learning for all. 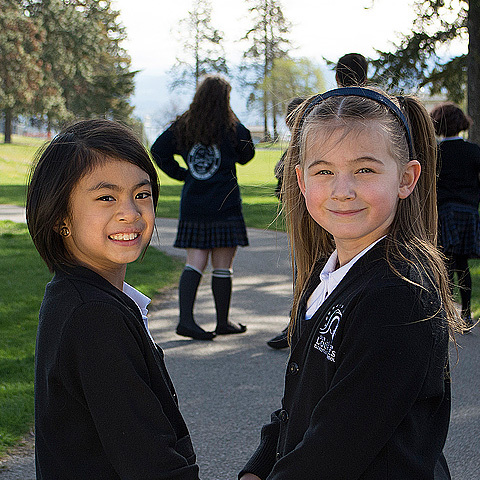 At Our Lady of Lourdes, we are passionate about encouraging empathetic and responsible relationships with each other within a respectful environment. Students at our school are involved in several service and outreach programs throughout the year. Each class promotes and runs a fundraising activity to support the Holy Childhood Association at particular times in the year. During the Christmas Season, students take part in Operation Christmas Child, where shoe boxes are sent to children all over the world filled with toys, educational materials and hygiene supplies. Our school also supports the Terry Fox Run and Jump Rope for Heart. Students are involved in local service programs. During the Christmas season, classes are assigned particular families in need designated by the local food bank, and provide food and other items to make a family's Christmas brighter. Our school choir shares their talents with local care centers. As well, each class visits our local care centre one month during the year to provide company for the residents and partake in crafts. 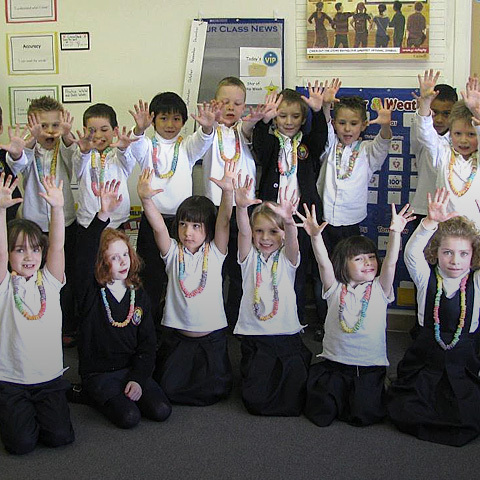 Our Lady of Lourdes is one of the Catholic Independent Schools of the Nelson Diocese. The Catholic Schools of Nelson Diocese, in partnership with the home and Church, strive to educate the whole child with the Gospel message of Jesus Christ as its foundation. 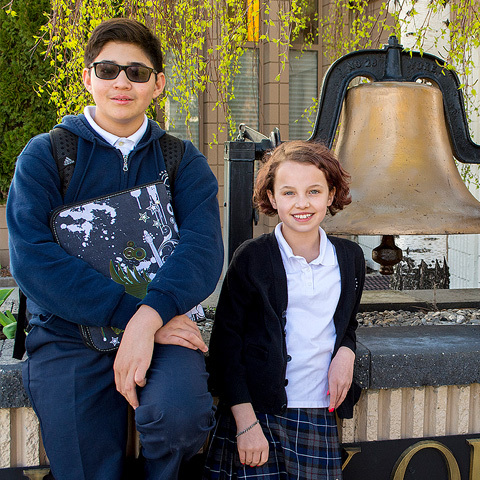 By priests, administrators, teachers, support staff, parents, and parish members all working together, the students of the CISND will reach their maximum potential spiritually, intellectually, physically, emotionally and morally in a Faith-filled community and become life-long learners and fine contributing Christian members of society. 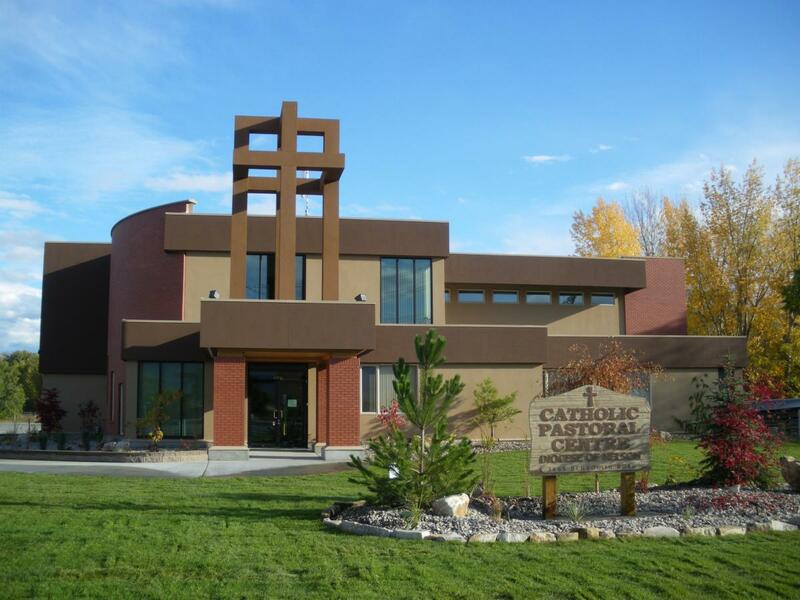 Bishop Peter Mallon's vision of a Catholic Elementary School in West Kelowna, British Columbia became a reality when Our Lady of Lourdes School opened in September, 1994. With the commitment of Diocesan funds through the "Join the Spirit" Fundraising Campaign, beginning in February of 1994, the school opened its doors with two portables, 2 teachers and 15 students in Kindergarten, grade 1 and grade 2. 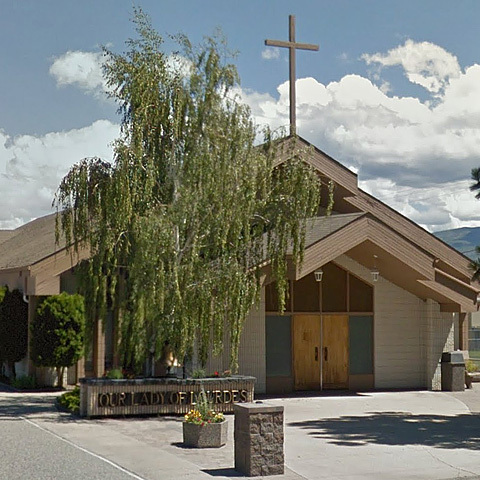 The amazing support and hard work of many parishioners and the Knights of Columbus allowed the physical building to be completed January of 1995. Bishop Peter Mallon blessed the school February 11th, 1995. With the continued dedication and commitment of Bishop Corriveau, our priest Father Wayne Pfliger, principals, teachers, staff, parishioners, and parents, Our Lady of Lourdes Elementary School has become a successful Catholic Christian environment where faith and knowledge meet.